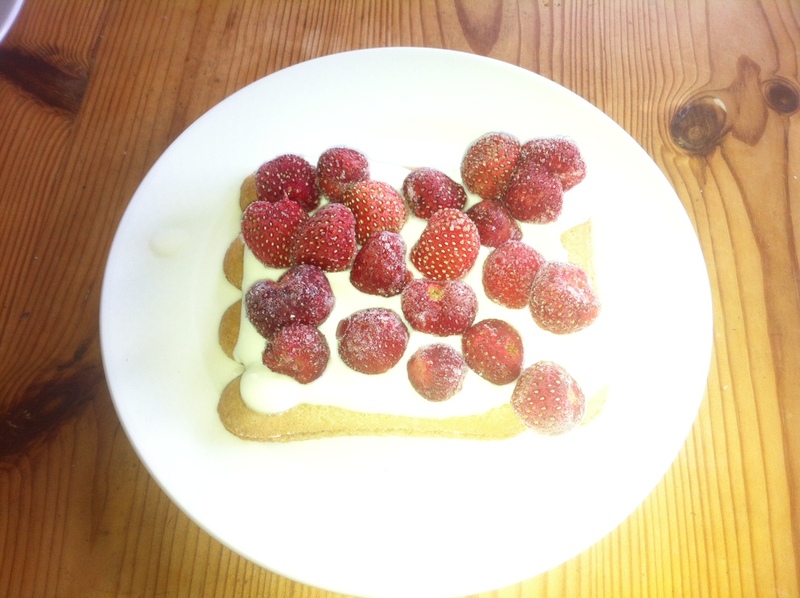 This is my older son´s favourite afternoon treat, and it is really very quick and easy to make, just requires some time for the strawberries to de-frost & soak the sponge. Of course we use fresh strawberries when they are available! Arrange the sponge fingers on a plate, cover with soured cream or yoghurt and top with the strawberries. Now leave for approx. two hours or until the strawberries are defrosted.